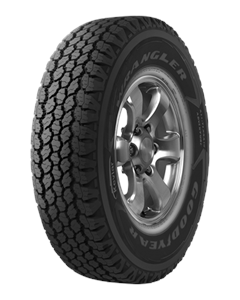 Our best tire for versatility on- and off-road, featuring DuPont™ Kevlar® for rugged strength — plus superior traction through rain and snow. For both everyday highway driving and going off-road at a moment's notice. The Durawall™ Technology helps prevent cuts in the sidewall. Superb traction in the snow and rain thanks to its tread compound and biting edges that help grip the road. The LT sizes include two layers of Kevlar, 30% more steel†† for enhanced toughness, and a Severe Snow Conditions Symbol¥ for winter weather driving.